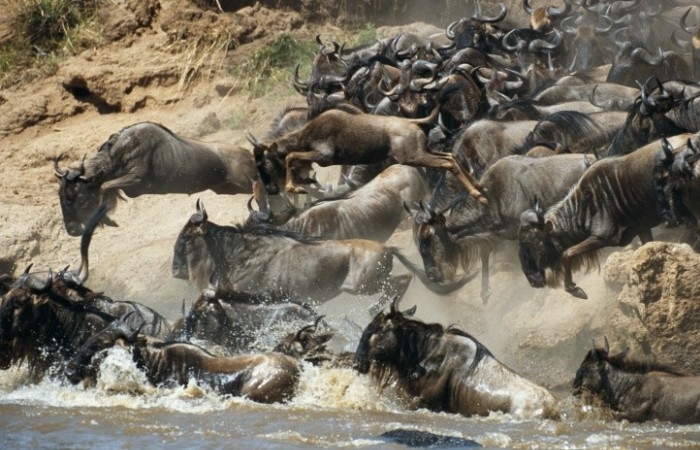 Visit the Beautiful Mara, experience the wildebeest migration. 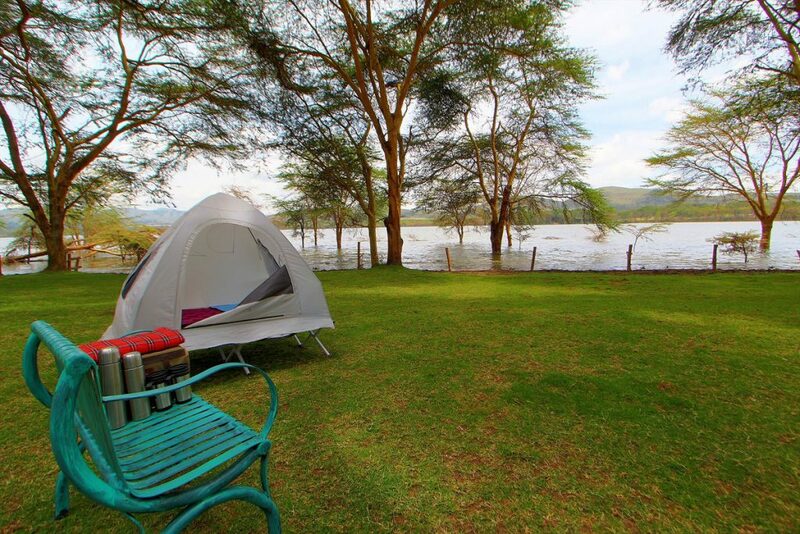 We accept Bookings for the Masai Mara Camping at any given time of the season. Kenya is the tourism hub of africa and the world at large. This is a 2 nights/3 days safari staying in a Camp/Lodge. The safari starts from Nairobi through the rift valley view Point to Masai Mara. You will have evening game drive on first day and full day drive the second day with picnic lunch, the third day you have morning game drive then leave Masai Mara to Nairobi where the safari ends. After safari briefing at our offices, depart for Masai Mara and drive north ascending the Great Rift Valley for a breathtaking views and photography. The Rift Valley was formed millions of years ago. Stretching some 5,000 miles from Jordan to Mozambique, it’s the largest Rift on Earth. Drive to Narok-town where you will stop for early hot-lunch. Proceed to Masai Mara after lunch arriving in good time to your camp, after checking-into your camp, freshen-up then goes for an introductory evening game viewing drive. 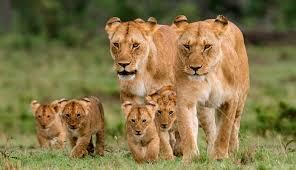 The Masai Mara is Kenya’s arguably the most famous reserve. It’s smooth grass carpeted hills and plains dotted with flat topped acacia trees are full of rich faunal diversity, fulfilling the expectations of any visitor searching the African landscape for the BIG 5. 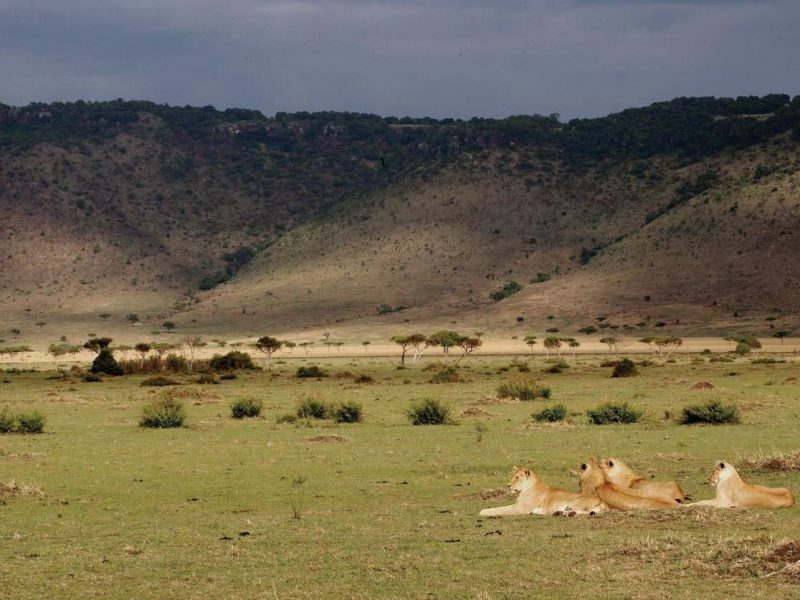 Located west of the Great Rift Valley, Mara is a natural extension of the Serengeti plains in the neighboring Tanzania. The Mara River, the reserve’s backbone traverses north to south. 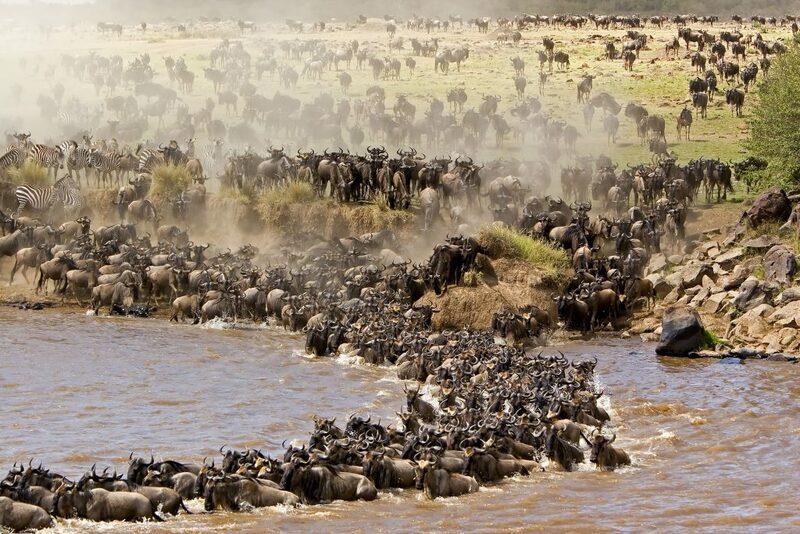 This course is the natural barrier crossed each year by large migratory heard of wildebeest and zebra which march across the two parks in search of pasture, crossing en route, the crocodile infested Mara River. Coupled with ever watchful predatory cats in the midst, the annual migration is a risky affair and fraught with peril. Morning and evening game drives through the Mara reserve gives you a chance of spotting a diverse array of wildlife including elephants, giraffe, black rhino, cheetah, gazelle, buffalo, hippo, various other herbivores and bird species. After breakfast, start game viewing-drive across the rich savannah grassland and rolling hills. 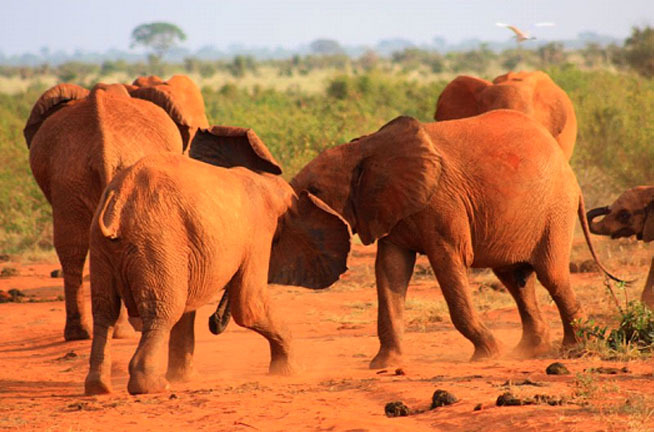 The famous Mara is renowned for its great herds of plain game, black-manned lions, leopard and cheetah but also contains numerous elephants and virtually every type of wildlife to be found here in the Mara. 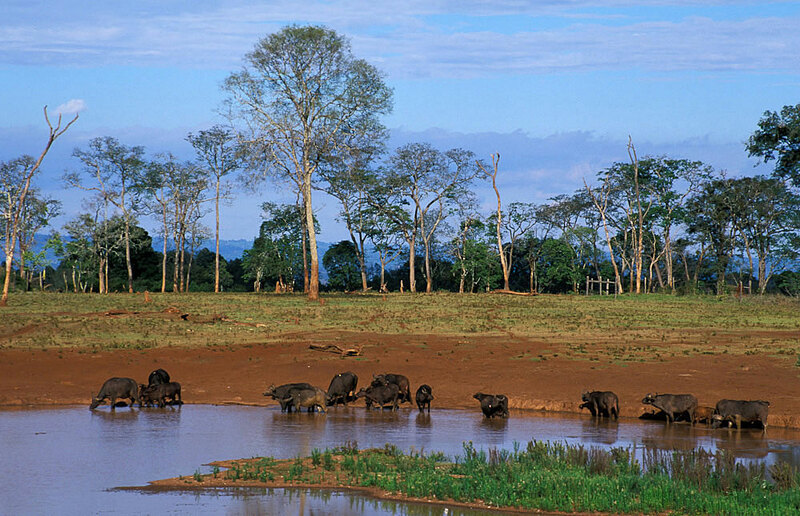 You will Have Picnic lunches at the Hippo pools in Mara River famous for migration of wildebeest. Proceed with the game on the way back to camp. Pre-breakfast sun-rise game viewing-drive to see leopard, cheater, lions and other cuts hunting. This is the best time to spot the cats family when making a kill for their breakfast/lunch as the sun rises-up. Back to the camp/lodge for your full breakfast before departing with an en-route game viewing-drive as you leave Mara region to Nairobi. Break for lunch at Mai Maiu then proceed to Nairobi, drop off to the airport to catch your flight or extend on your choice. •Transport in a safari Micro-Toyota 4×4 wheel-drive with a pop-up-roof for wildlife viewing and photography. • The optional visit to tribal villages e.g. 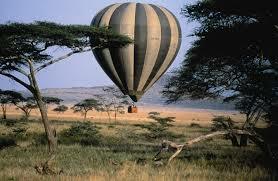 visit to a Maasai village $ 20 PP, Ballon safari in the Mara $ 450 pp-bookable before departure.